Positive, effective customer support and relationships are key to building a solid business foundation in any industry or field. With the potency of today’s CRM systems and integrative technologies, almost anything is possible in the realm of streamlining customer-based operations. 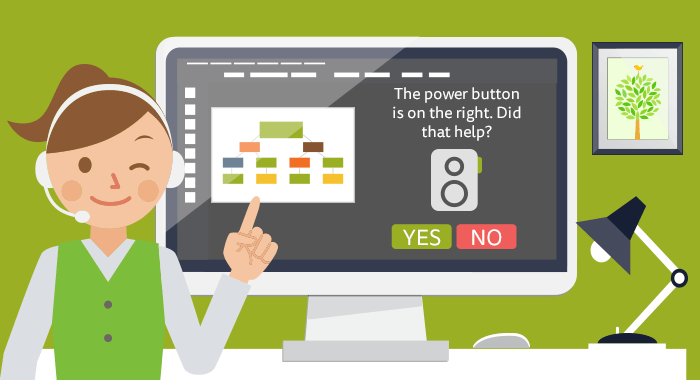 Introducing interactive decision trees as a unified part of your CRM platform — like Salesforce, Desk, and Zendesk — is an effective way to simplify the customer support and relationship process, and their continued optimization. 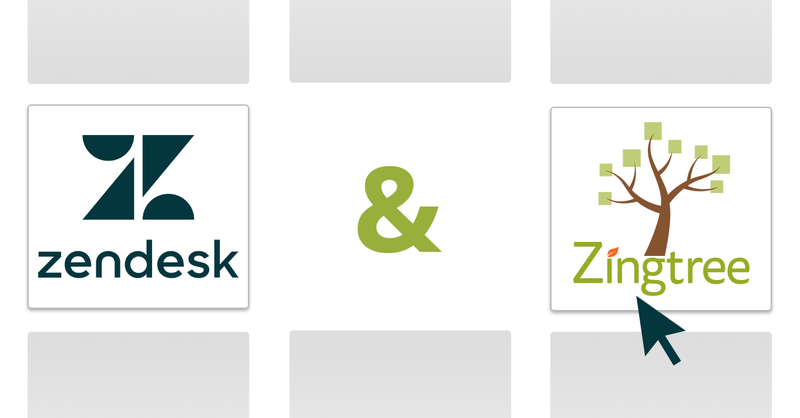 Zingtree provides powerful tools for agents, customers and the measurement of both. Agent scripting solutions allow support agents to have a live, customized script to use as a guide when communicating with a customer. They are written in the brand’s own voice and follow personalized standards that make it much simpler for agents to portray the correct information and provide help to the customers. Scripts help agents deliver more consistently positive experiences with less training, using prompts to follow along with; new questions will be presented depending on the answers given. This type of organized conversation makes the customer feel (and know) that they are actually being heard and understood. 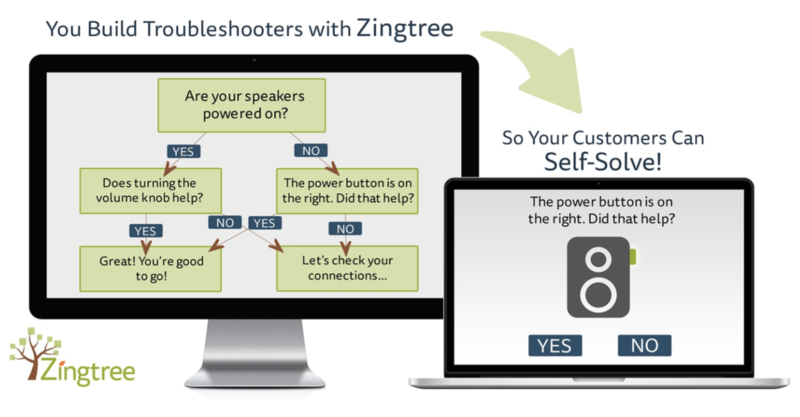 Zingtree is a powerful tool for building custom interactive decision tree troubleshooters – these allow customers to follow a path of questions and answers that lead to a final most-likely solution, and are especially helpful for more technical issues or questions. Additionally, when a customer’s data is imported into the CRM platform, agents can attach the full Q&A transcript of their decision tree session to keep every piece of relevant information in one useful place — with the Zingtree API, this information retrieval is automatic. For organizations taking advantage of live support chat systems, Zingtree integrates directly with chat platforms to allow simple extraction and presentation of data. Our software allows Zingtree to open a Zopim or Intercom.io chat with the customer, gather information before the chat begins, and include a full transcript of the decision tree session as a part of the chat so that agents are provided with a holistic picture of the customer’s issue. Companies that integrate Zingtree troubleshooters into their customer support processes have seen, on average, a 20% overall reduction in support cost and a measurable improvement in the volume of tickets. Using support decision trees based on customer-facing knowledge base data makes it easy to provide help across a variety of areas, become more efficient and save resources, while in turn cultivating long-term customer relationships. At the end of the day, the numbers reveal all. 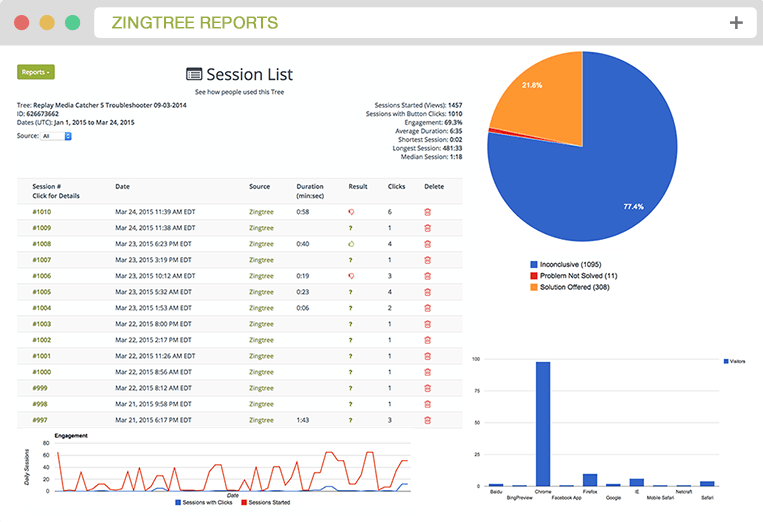 With built-in, real-time analytics and powerful usage reports, organizations can view the direct impact of their implemented Zingtree decision trees. By introducing decision trees based on company knowledge base and agent information, implementing customized agent scripts and continually measuring the data behind both, organizations will best utilize their CRM and other support processes to benefit the customer and company. Any questions? Please don’t hesitate to contact our trusty staff! This article was originally posted on March 17, 2016, and has been updated for accuracy and freshness.